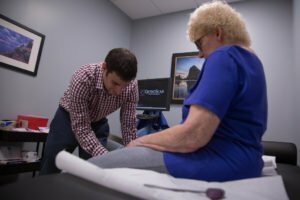 All natural, safe, and effective treatment offered at Monmouth Pain & Rehabilitation proven to relieve knee pain as fast as possible… no surgery, no steroids, no prescription drugs. 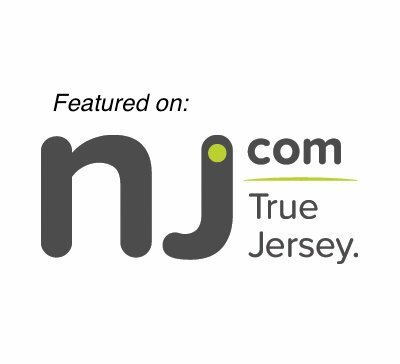 To request a FREE consultation ($245 value) in one of our offices, please fill out the form below or call 732-345-1377 and we would be happy to help you. Covered by most insurance including Medicare. Treatment is safe, easy and requires NO surgery. Call our facility if you experience any degree of knee pain or discomfort. Knee injections counteract the effects of Osteoarthritis by introducing a gel into the joint. This gel, called a viscosupplement, bonds with naturally occurring joint fluid to create a lubricating and cushioning layer, making up for the layer of cartilage that breaks down through Osteoarthritis. Where previously bones were rubbing together, there now is a layer of gel keeping them apart. It also reduces pain, inflammation, and swelling of the joint. Movement becomes easier, thanks to this all natural replica of your body’s cartilage! Our doctors use video fluoroscopy when administering injections to ensure total accuracy in your treatment. Using this technology, they are able to pinpoint the exact place in your knee to inject the fluid. It’s not just knee injections! Using natural gel injections is proven safe and effective. The team at MPR has found that adding Cold Laser and Power Plate Vibration Therapy© helps even more! These holistic gel injections are then supplemented with Class IV Laser Therapy, which decreases inflammation and increases oxygenated blood flow. On top of that, patients may try Power Plate© technology, which sends waves of energy through the body to boost blood flow and accelerate healing. It’s painless, safe and fast-acting. We also offer physical therapy and acupuncture which can be incorporated into your treatment plan. If you have any further questions, you can call 732-345-1377, or schedule a consult with our doctors to learn more about how we can help you.